Exotically opulent bracelet with antique brass door-hinges and vintage beads. 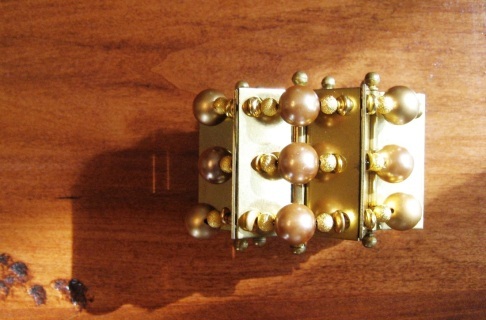 Available in brass (with authentic signs of wear) or in a chocolate-brown modern finish. 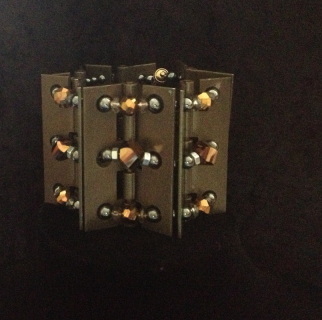 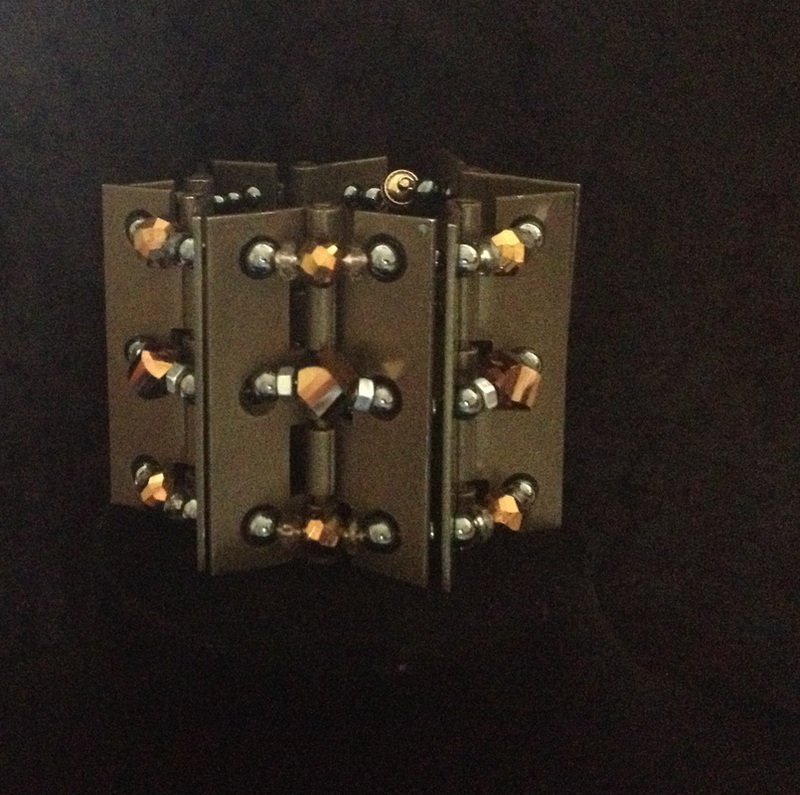 Show-stopping cuff with contemporary chocolate-colored door-hinges, with accents of copper crystal and hematite.